While most of us dream of a Carrie Bradshaw-esque closet (and her complete shoe collection) the size and accessories are not always an option. 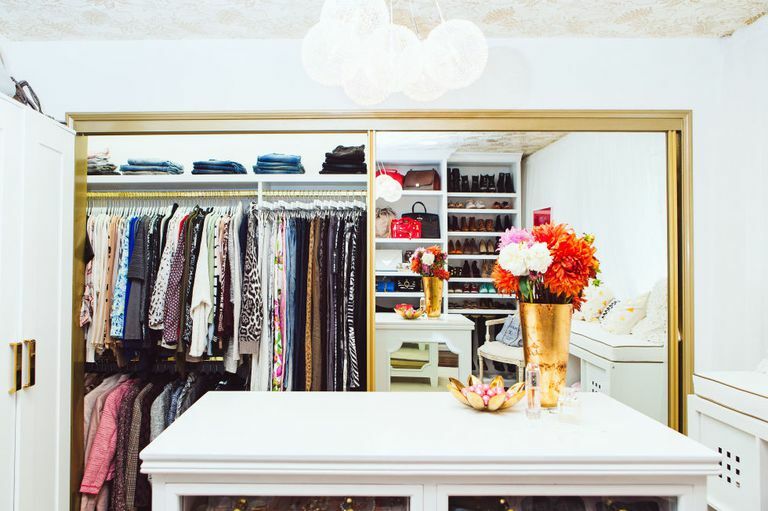 Enter master closet designer and founder of LA Closet Design, Lisa Adams. Here, she shows us how to bring the high-end touches of a no-cost-spared closet into your home, without the big hit to your wallet. Nothing says luxe like metallic. Paint the metal trim of your closet or your ceiling for flair. Choose a full-length mirror or a framed mirror to fill dead space suggests Adams. It will make the room feel bigger and add a different material element to the room. Decorative knobs are the perfect accessory to show your personality and unique style. It not only looks luxe but feels luxe. Faux fur rugs are easy to find (and animal friendly!) and are a great way to add something soft and chic underfoot. It’s like a great frame for your closet. Plus, in a small space, it’s completely affordable. The right light is EVERYTHING. Not only will a small chandelier look high-end, it will give you a well-lit closet—crucial in helping you get dressed in the morning. 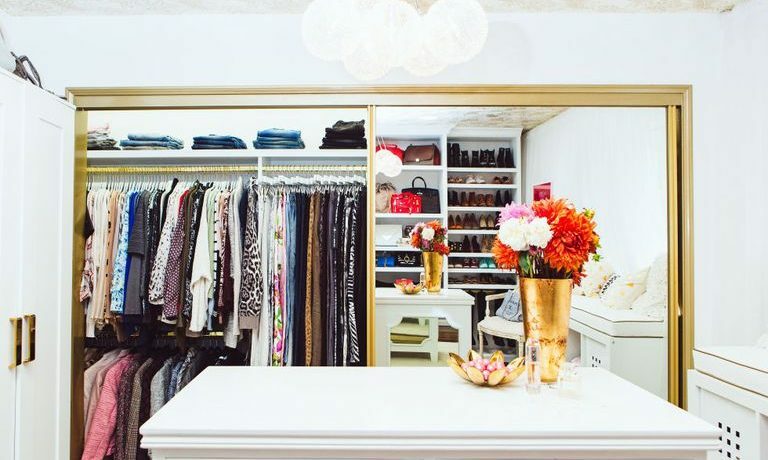 The easiest and quickest way to change the look of your closet. “You must find the hanger you like and get rid of all mis-matched ones,” says Adams. An instant elegance killer? Clutter! Use shelf dividers to keep purses and stacks of sweaters tidy and vertical. “Inexpensive and a must-have,” says Adams. Optimize your closet by making the most of unused wall space.